Our Help Centre is there to answer any questions you may have about Alpha Travel Insurance, from our online medical screening system to common FAQs. If you can't find the answer to your question here, please feel free to contact us and we will be happy to help. Need Help? - our Need Help page will give you information about the best ways to contact our departments. Existing Customer Area - If you’re an existing customer you can create a free account to view, download and resend your policy documents whenever, wherever! 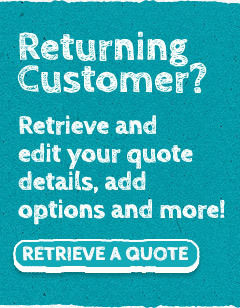 Retrieve a Quote - If you’ve already completed a quote but would like to make some changes before your purchase, visit this page to edit your quote details, add options and more! Travel FAQ's - if you have a question about Alpha or our products, you may be able to find the answer in our frequently asked questions section. Contact Us - if you would like to speak to an advisor you can find our contact details here. Live Chat - for a refreshing alternative why not try our live chat service and have your questions and queries answered by our helpful and efficient customer service team. Online Medical Screening - on this page you will find information about the specialist online system that we use to screen your medical conditions. Policy Wordings - if you're looking for detailed information about our policies, or a copy of your own policy wording, you can find all of our wordings on this page. Complaints - if you would like to make a complaint, please visit this page for further details on how to contact us. Benefits of Travel Insurance - not sure why you should purchase travel insurance? Visit this page for details on why it is such a vital purchase before any trip. What Countries are covered by Our Policies? - not sure which destination category to select? This page shows you which geographical area your proposed destination comes under. Claims Information - if you would like to make a claim or speak to the claims department, please visit this page. 24/7 Emergency Assistance - if you need emergency assistance during your trip, please visit this page. Claim Forms - if you need to download a claim form, please visit this page.